I came up with this fun recipe a few months ago and I just love/crave it some days! 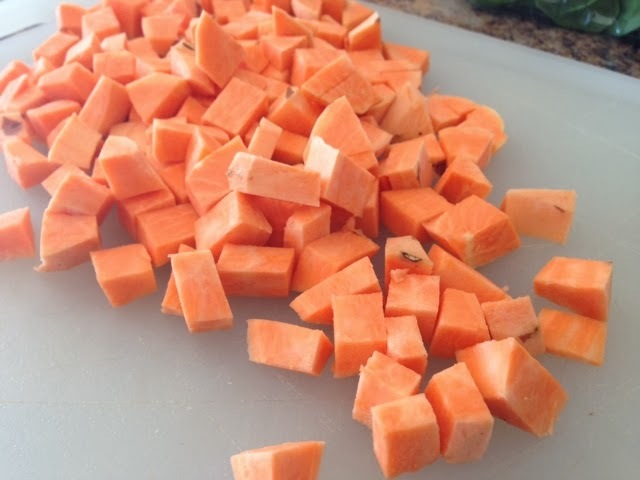 This is an excellent make ahead meal that you can freeze individually and pull out each morning with a quick heat in your microwave or oven. You could even put in the fridge over night so it thaws some but that's not necessary. 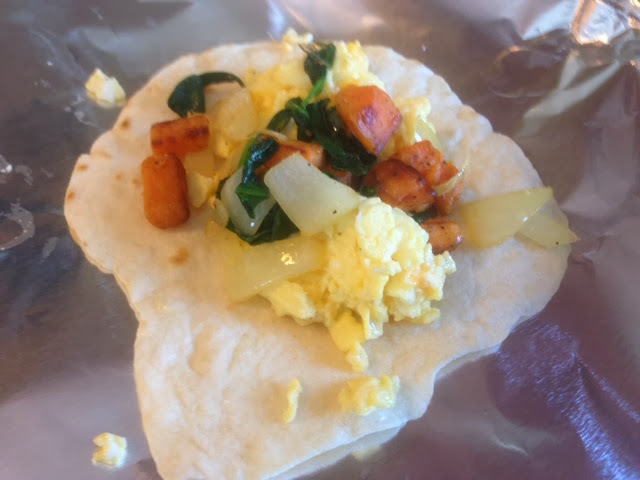 I used homemade tortillas for this recipe. The flavor is perfect and you can't beat less than $1 to make a whole batch. 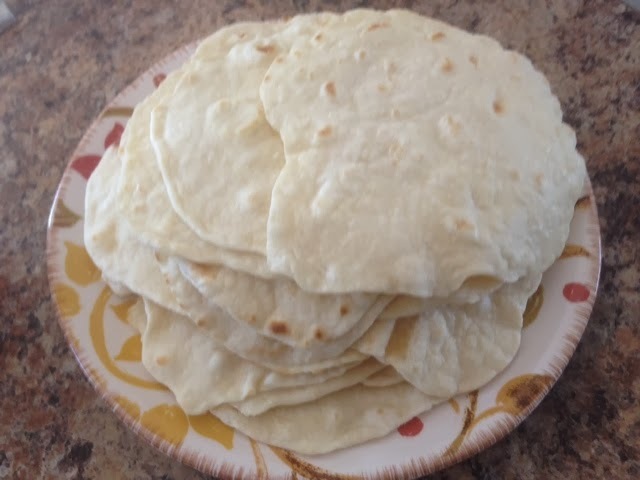 Now, in the pictures, I made smaller burritos because I was making these for MOPS. Who wants to eat a whole burrito when you have lots of other goodies?! 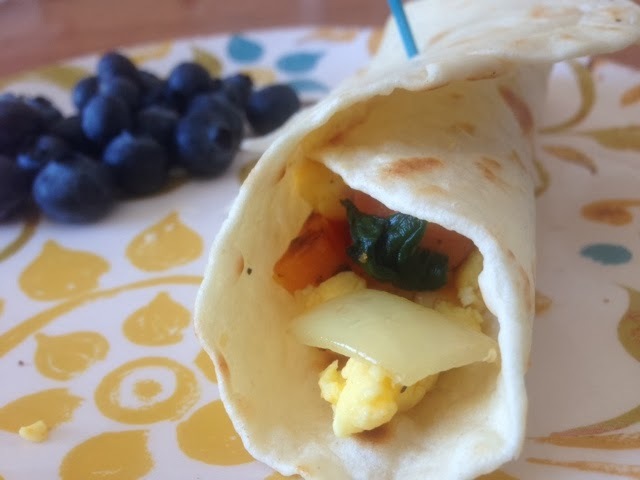 But small ones are an option because you could easily pair this with a Greek yogurt and fresh fruit for an awesome, weight loss busting breakfast (right around 300 calories). Speaking of weight loss, remember when losing weight, we want every calorie to count with quality food. 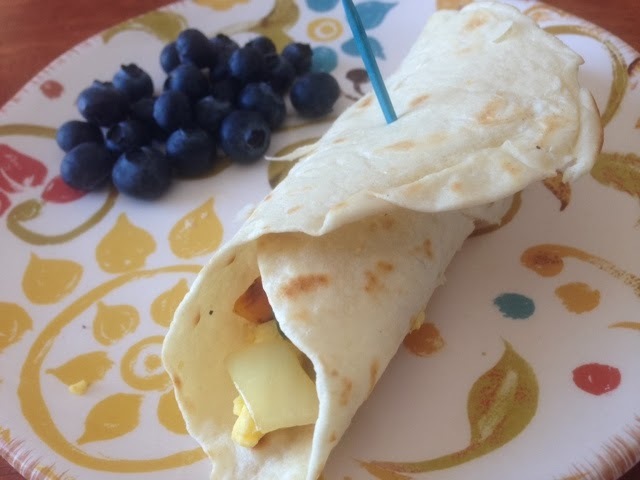 This burrito is packed with protein and nurturing vitamins. 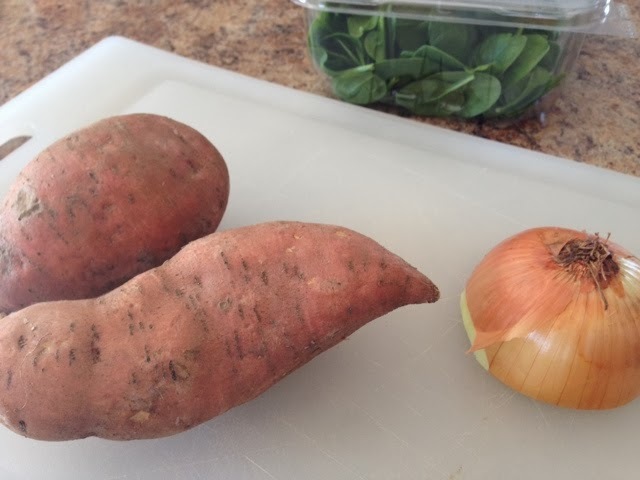 Spinach and sweet potatoes are loaded with vitamins and minerals, and high in fiber. Onions are detoxifying. Eggs have healthy fat, protein and is a proven food to balance blood sugar and keep you healthy. 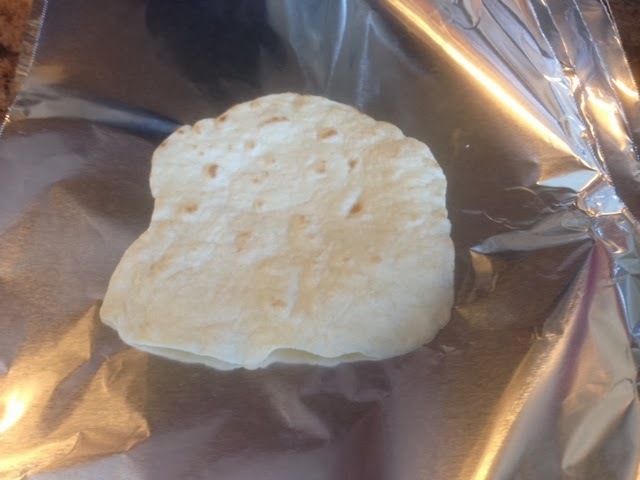 The tortillas are a grain but it has absolutely no junk! Just a handful of ingredients already in your house and so tasty. 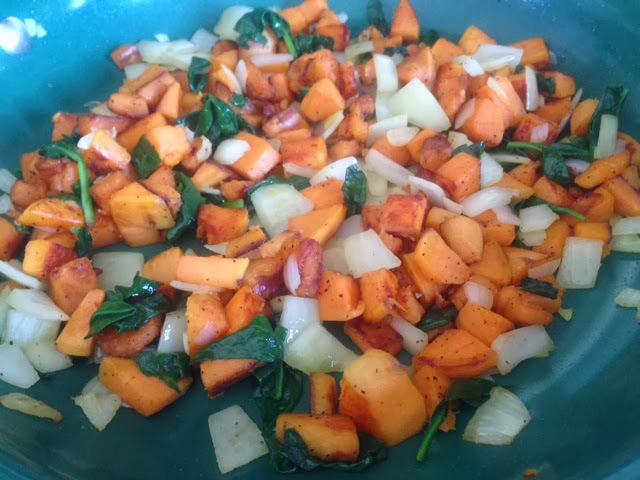 I actually ended up using 1 ½ sweet potatoes because it was so much! 1. 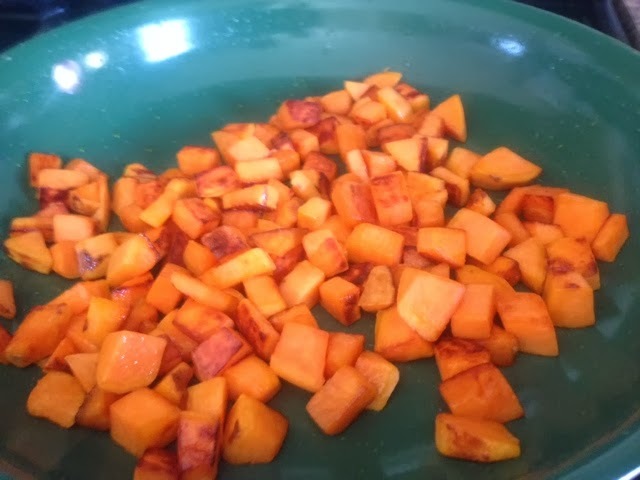 Brown sweet potatoes in olive oil. Add onion and cook till translucent. 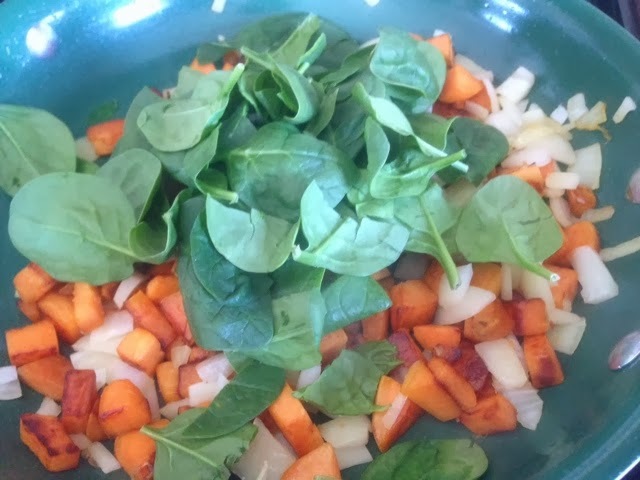 Add spinach and cook till wilted. 2. 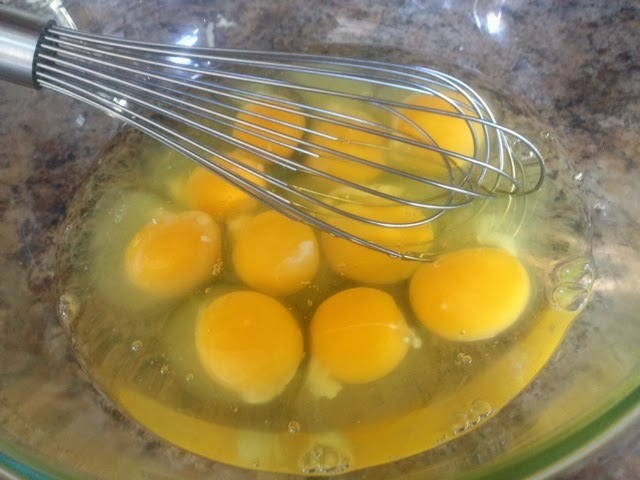 Whisk eggs and milk in a bowl. Cook in separate pan, stirring frequently. 3. 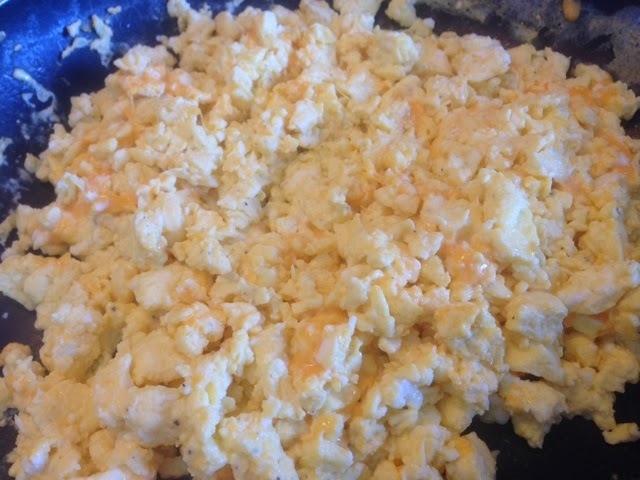 When eggs start to be fluffy, add cheese and cook rest of the way, being careful to not overcook eggs and keep moist. 4. 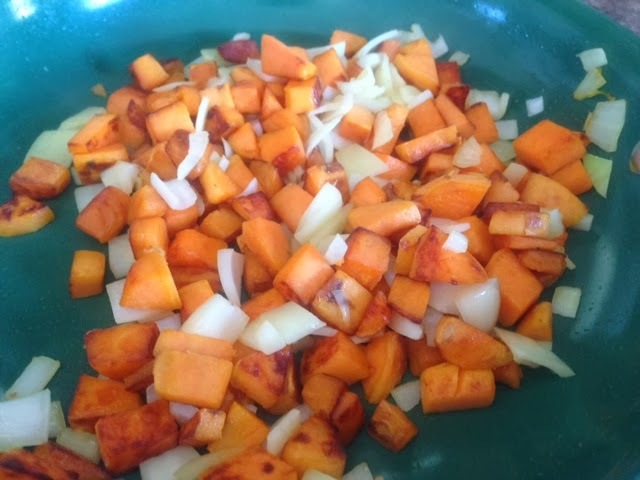 Add sweet potatoes mix with eggs and stir together. Salt and pepper generously. 5. 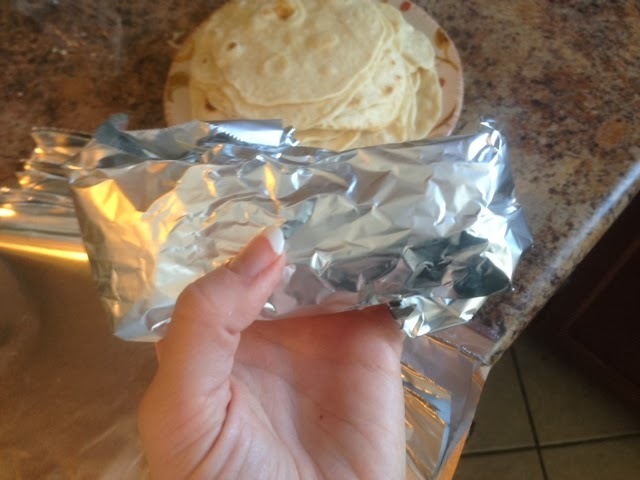 Layer tin foil for rolling each burrito so you can fill, roll, and wrap easily. 6. 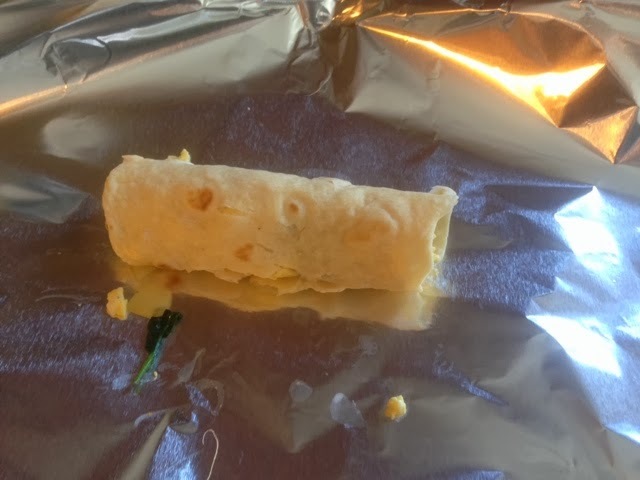 Lay tortilla on foil, fill, roll, and wrap. 7. Freeze till ready to eat. 8. Remove from foil and microwave or keep in foil and heat in oven at 350 degrees for 10-15 minutes. 9. Serve with fresh fruit and Greek yogurt if you'd like. Calories: approximately 245 calories per burrito. 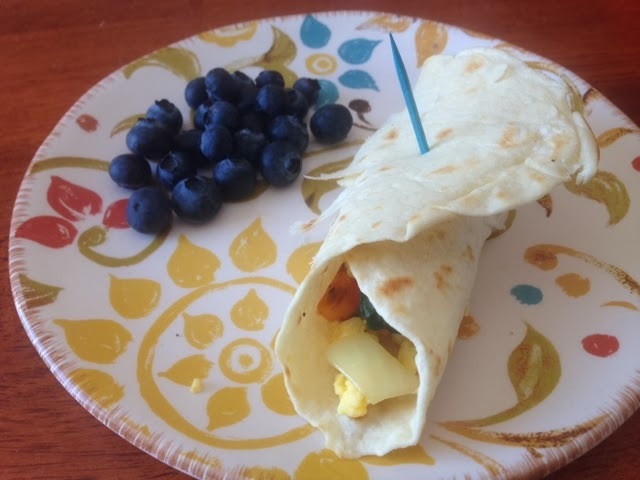 122 calories if you make 20 mini burritos. Cost: $4.18 for entire batch. Which means each burrito (10) costs about $.40. Wow! Breakdown of how I got there is at bottom of post. These look great! I'm pinning them and planning to freeze them.